We watch the Super Bowl for the game -- and the commercials. 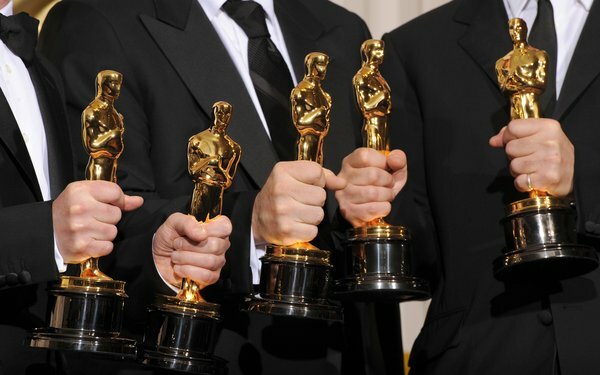 Do we do the same for the Academy Awards -- the annual movie event coming up this weekend? A year ago, Google says there were more search requests around Oscar advertising for ABC’s “2018 Academy Awards” than all other big live events -- two times the search engagement when compared to other average live big events in the period. That includes Super Bowl LII, the 75th Golden Globes, the 60th Annual Grammy Awards and the 2018 Winter Olympics. Looking more broadly, search for both Oscar advertising and content was nearly three times more than other big first-quarter TV events. Much of these request comes from big talent appearing in commercial messages -- and during the program -- with viewers wanting background on those personalities, movie and TV credits, etc. For instance, this year, actress Charlize Theron will be in a Budweiser commercial running in the Oscars. Though the Super Bowl is the biggest TV event in terms of viewing of the year -- around three times the viewership of the Oscars -- does this makes sense? For one, we don’t need search requests when it comes to deciding where to buy Budweiser while watching two teams bash each other on the field. That said, many celebrities make appearances in Super Bowl commercials. Good news for marketers as it concerns the Oscars telecasts: Consumer still watched in big numbers and virtually all live -- rare for any big rated nonsports TV programming. Kantar Media says just 32 minutes of advertising time was aired for last year’s event. For a telecast regularly running more than three hours long, way less than other live TV events, that’s a good deal. This keeps marketers looking to amp up their events around the big event. Jerry Daniello, senior vice president, entertainment brand solutions of Disney Advertising Sales, told TV Watch when the Academy of Motion Pictures Arts and Sciences (AMPAS) toyed with giving out lessor-stellar production Oscar awards off air -- during commercial breaks -- a number marketers asked if this meant some messaging opportunity. “We had a few clients inquire about how they could wrap themselves around these categories.” Daniello adds the Academy forbids any marketers from sponsoring specific award categories. Ultimately, the Academy decided not to institute an off-air awards effort. The Academy is one of a few owners of a TV show with shared approval -- along with ABC -- of TV commercial messaging in its event. Even with the rapid growth of new ad-supported options, live TV programming remains a lure of marketers. And that means a premium price for marketers looking for high consumer interaction. The downside? Maybe too much smartphone multitasking, causing some missed TV program content -- and, yes, some TV ads, too.